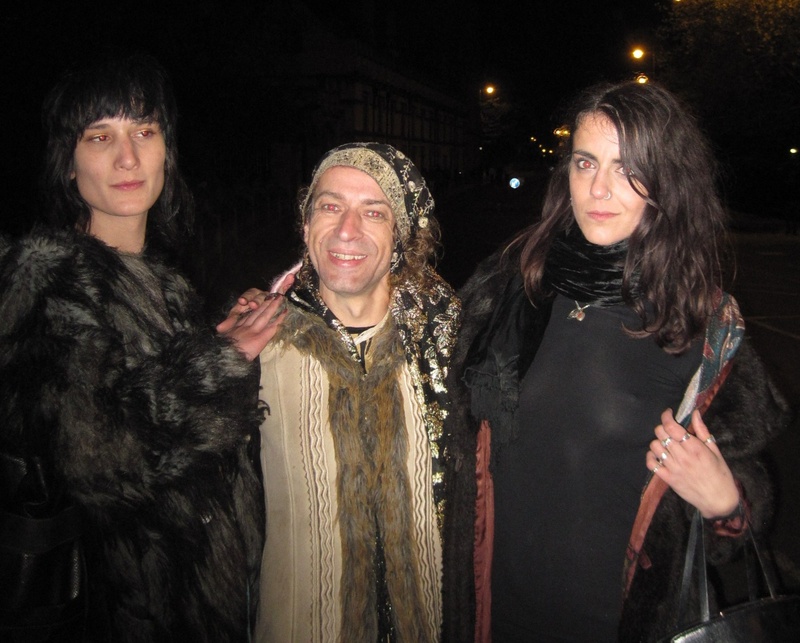 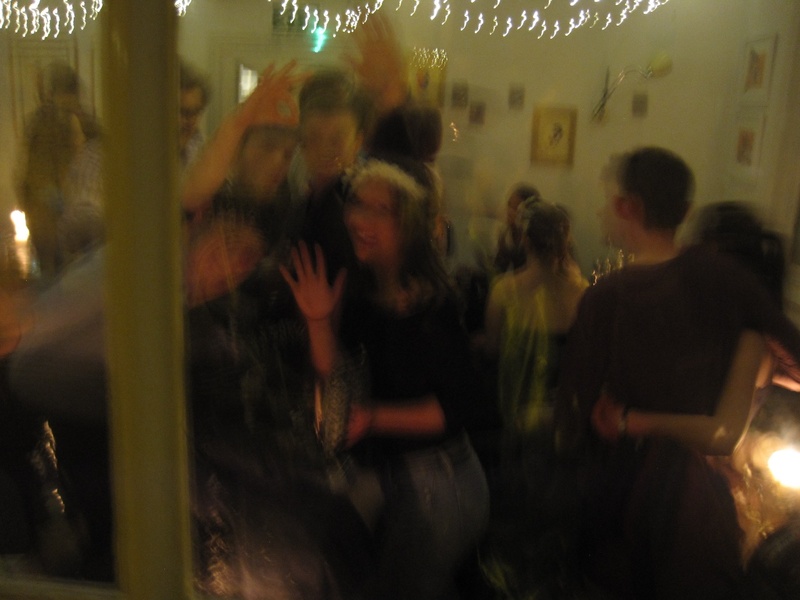 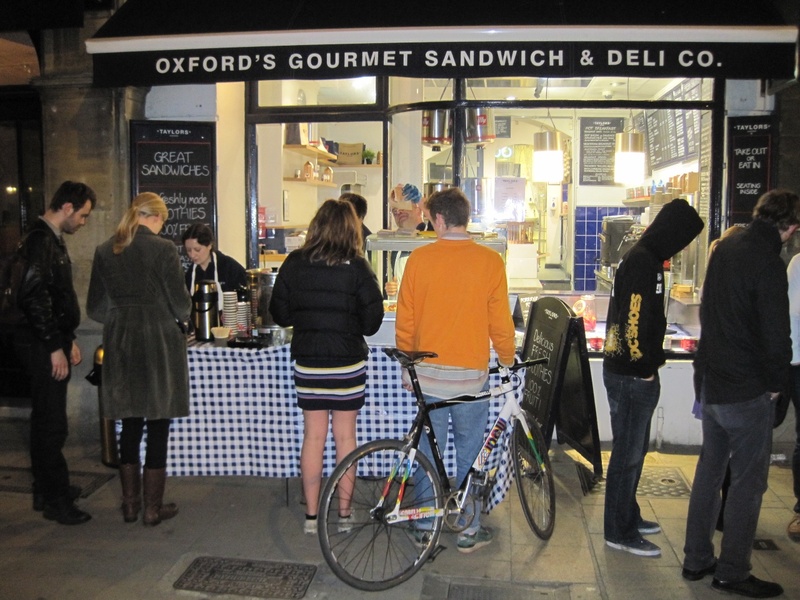 A handful of pubs, bars and eateries are open all through the night on the Eve of May Day, catering for the hardier (often the younger) revellers. 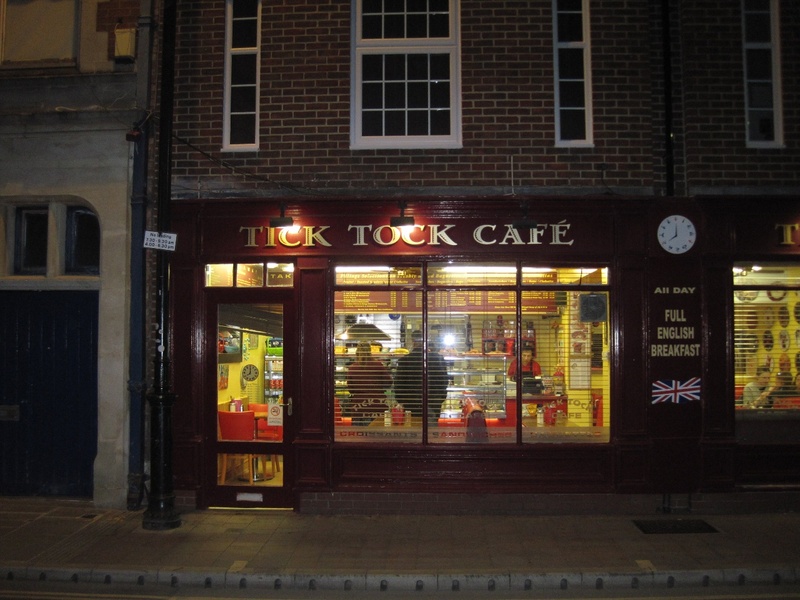 The Fir Tree pub on Iffley Road, and the Turl Street Kitchen on Turl Street were open all through the night in 2016, and Tick Tock Café was serving Full English Breakfasts as early as 3am. 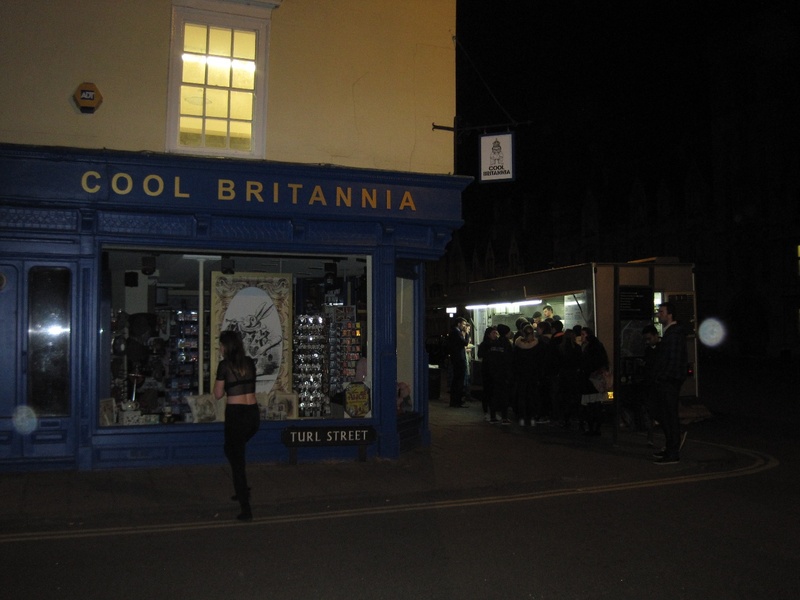 If all else fails, you never need to go hungry; the kebab vans on the High Street and the Broad are open all hours and did brisk trade in 2016. 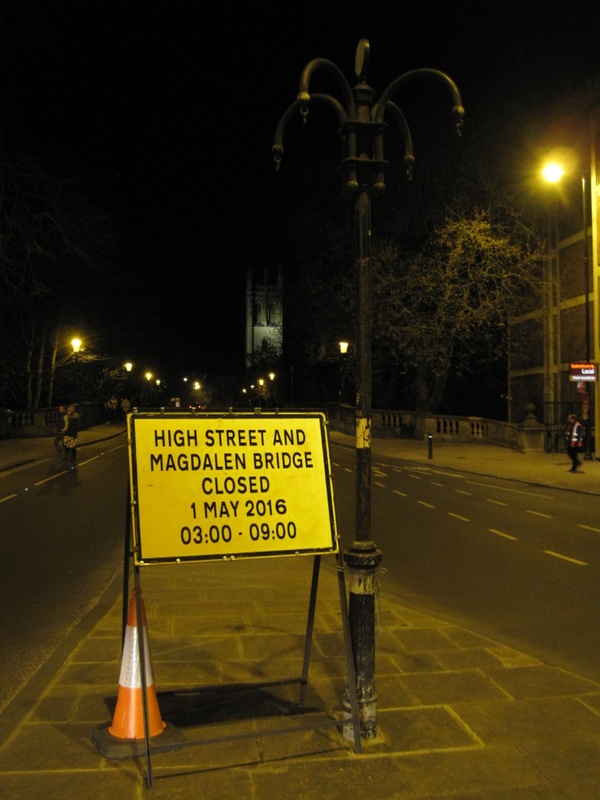 5.18 am on Magdalen Bridge, May Morning 2016. 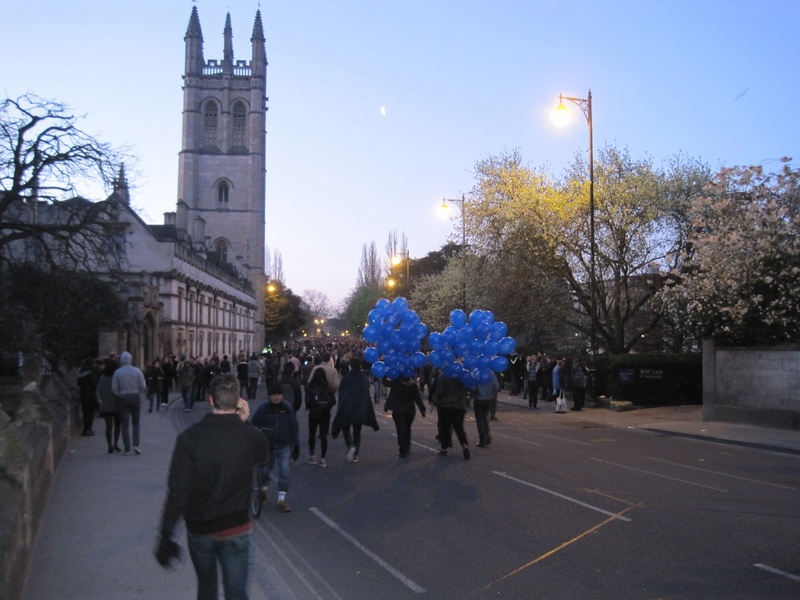 The crowd starts to assemble and blue balloons arrive courtesy of G & D ice cream parlour (photo Tim Healey).